Randos des Dunes invites you to ride across the beautiful region of Essaouira-Mogador. 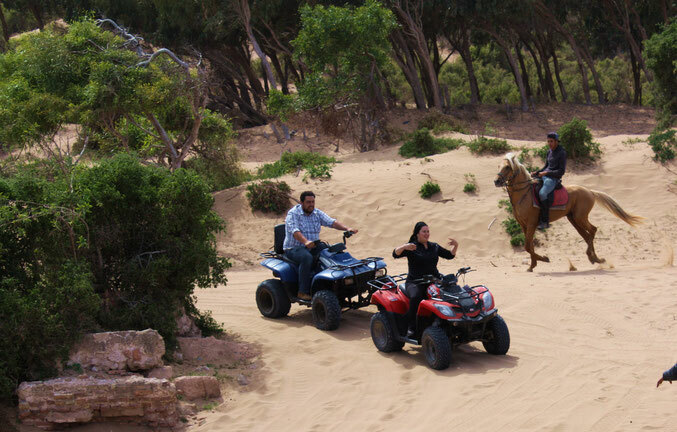 With our camels and horses, but also by quad, you can discover the landscape with it's dunes, rocks, it's eucalyptus and mimosa forests. 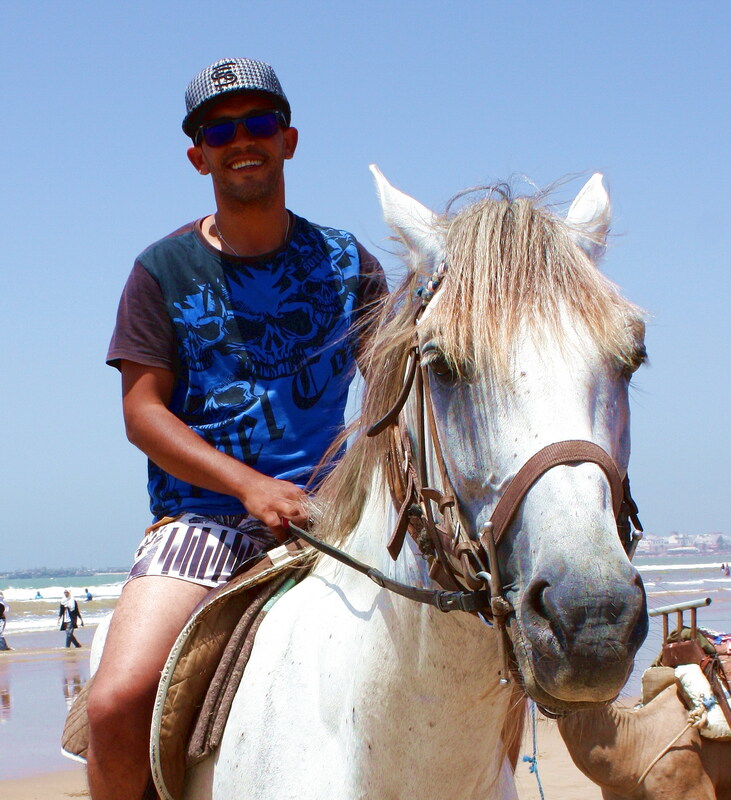 Your trip will lead you to the village of Diabat where, in the 1960's, artists like Jimi Hendrix and many hippies resided. 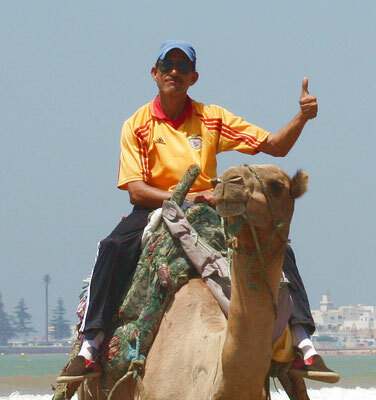 The children will especially like this wonderful adventure on camel or horse back. Reach us by: Tel. (0212) (0) 672668993 or (0212) (6) 642011690. 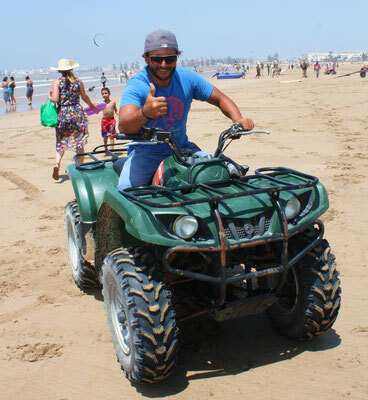 For those who prefer four wheels, they will have the possibility to make a trip by quad. 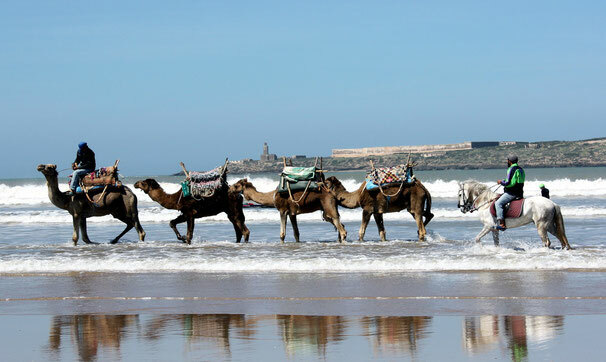 Randos des Dunes work with La Maison du Cheval (House of Horse) of Yassine (left) and Diabat-Quad of Rachid (center). Abdelaziz (right) is most of all responsible for camel-trips.